Community-informed work is at the heart of the UW’s partnerships in Southeast Seattle. The Othello-UW Commons is a learning and collaboration space for faculty, staff, students and community partners. The Commons will prioritize sustained partnerships that embrace the UW’s commitment to learning from and with local communities. Academic departments at the UW are committed to sharing resources and classes that can help address needs and hopes identified by people in Southeast Seattle, from community health and youth development to lifelong learning and social policy. Conversations with local residents inform the vision for the Othello-UW Commons. The University will continue to ask and to listen, and to shape programming that supports Southeast Seattle’s vision of sustaining an equitable, inclusive and welcoming community. Rooms at the Othello-UW Commons may be reserved by UW-affiliated organizations and community partners. 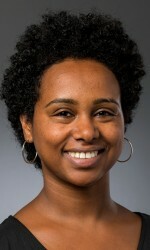 Selam serves as the Commons’ on-site manager and works to build connections between the University of Washington and Southeast Seattle communities. Contact her at misgano@uw.edu. Located approximately 9 miles south of the UW’s Seattle campus, the Othello-UW Commons is next to the Othello Link light rail station. This accessible 2,200-square-foot facility includes room for meetings, teaching, learning, leadership and community and professional development. Hours: M-F, 10 a.m. - 6 p.m. The Office of the Provost convened a steering committee in November 2017, co-chaired by Ed Taylor and Sally Clark. The committee has two key purposes: advancing opportunities for new partnerships in Southeast Seattle and providing strategic guidance to the executive office that helps form long-term, transformational partnerships in local communities. Committee members shape their work in the context of many long-term commitments by UW faculty, students and staff to South King County neighborhoods. Opening in early 2019, the Commons will be a venue for community-driven teaching, learning and research. Othello-UW Commons builds on the UW’s longstanding partnerships with local communities. Technical information about the space, how it can be used, the meeting rooms (with A/V, capacity, etc. ), etc. Link to an online form for external and internal partners to request use of the space. 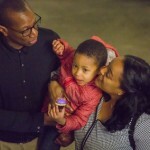 Several academic departments at the UW have committed resources to develop programming that can help address the needs and hopes identified by people in Southeast Seattle. Links to the Schools, Colleges and Units that have invested in the Center; link to External Affairs, Admissions and the Provost’s Office as well.